We raise rabbits for fur and meat. For us, it is fun and rewarding. When socialized, rabbits can be really sweet & social pets. Ours are well accustomed to human interaction. We love our bunnies! Our rabbits are raised in large cages that give them access to a burrow and to dirt floors. This allows them to live in a way that is similar to what their life would be like in the wild. We also cut a variety fresh greens for our bunnies daily to allow them to balance their own diets and to ensure they are receiving proper nutrients. Our most recent litter of babies is now available for sale. These little ones would be great pets or could be raised for meat or fiber. Both white and grey rabbits are available. 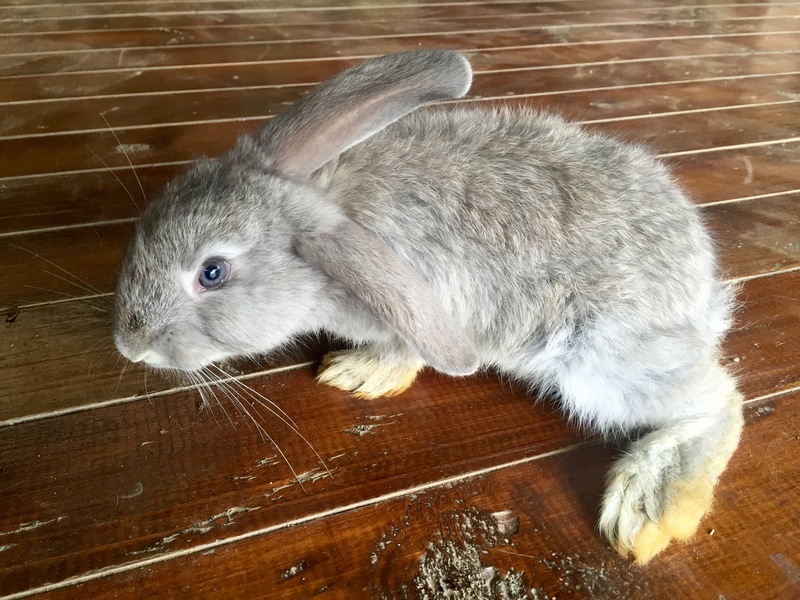 Please specify if you will be using the rabbits for fiber as some of the babes have longer fur than others. 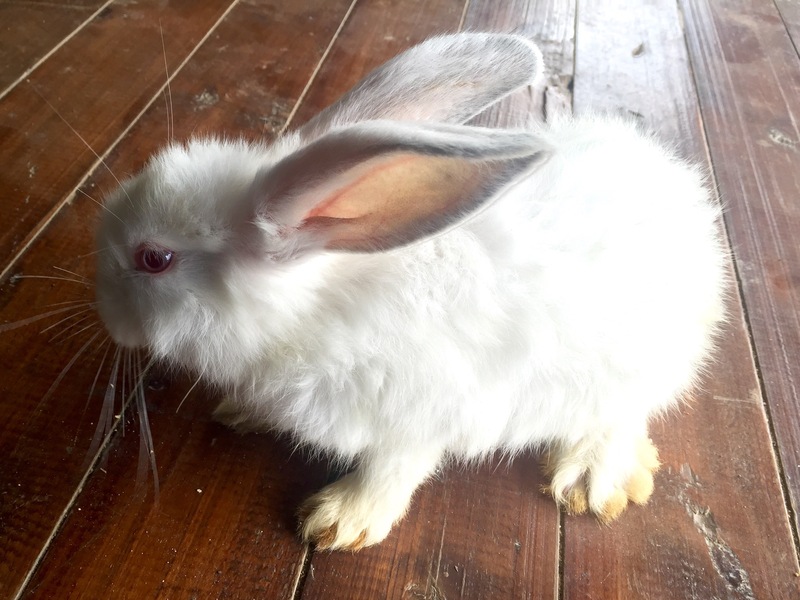 Please text/call 098-690-3936 or send an email to wildblossomsfarm@gmail.com with inquiries about any of our rabbits. Hours: Please contact us to schedule a farm tour. *We do not have internet access at the farm. Please know that if you are contacting us by email, we will get back to you as quickly as possible, but it may be a few days before we are able to respond to your message. We are not doctors or veterinarians. Information provided on this page is for educational purposes only and is not meant to diagnose, treat, or prevent any disease or illness. We speak from years of personal experience, but encourage you to always do your own research when presented with any new information regarding your health or the health of your animals.